Welcome to the 2013 WLUSP Election information portal. WLUSP Election Forum – Ask the Presidential and Board of Directors candidates questions. No registration required. 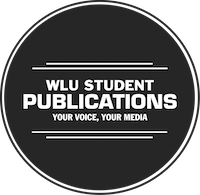 WLU Student Publications is a volunteer-based, not-for-profit media group based out of Wilfrid Laurier University. The Laurier student body makes up our membership and pays fees levied through the university, which go towards running our publications, websites and online radio station.